Occasionally I run into well meaning people (don't worry, if you are reading this it probably isn't you) who are convicted to do certain good works and they have a way of projecting that onto others. They think that if they are convicted to do a certain thing, everyone else must be too. I am not just merely talking about someone asking, but also using manipulation and guilt. Since I have dealt with this sort of thing in the past, or should I say, the Lord has dealt with me on it, it usually is not hard for me to spot when someone is trying to place a false yoke around my neck. This thing they are trying to get me to do will often make me feel anxious and feel burdensome instead of peaceful and life-giving. Don't get me wrong, the Lord will often stretch us and call us out of our comfort zones but still if it is from Him, we will have an underlying peace about it and the grace will be available. Sometimes nobody needs to manipulate us into doing something we are not called to do but we are more than capable of placing false yokes on ourselves in an attempt to look good, please other people and try to earn God's love. We must remember there are many ways to serve the Lord and as one person we can not do it all. Some of the ways He calls us to serve may seem less glamorous and less altruistic but it is no less important if he is the one calling us. For example, some of us may not be able to stand outside an abortion clinic and pray but we can help promote a culture of life by making a meal for a new mom, throwing a baby shower and giving baby clothes to a local pregnancy center. There are also many different ways to serve the poor. There are the physically poor but also spiritually poor. Maybe you are not volunteering at your local homeless shelter but maybe you are teaching a bible study or catechism class at your church. Maybe you are not able to do mission work in Africa but maybe you are able to give the elderly lady next door a ride for her doctor's appointment. What good is it if we are doing a bunch of works of mercy but neglecting our own family or community? I once belonged to a church that would do a sock and food drive for the poor outside the church which was a good thing but they would neglect people inside the church who were also in need of basic essentials. I think the reason this happens is because people view helping someone they do not know as being more altruistic than helping a family member or someone in their own community. We need to check our motives. Are we doing something because it makes us feel better about ourselves or out of genuine compassion for another person? Also, if it is the Lord calling us, we will not have to neglect our primary responsibilities at work and home. Jesus only did what he saw His Father doing. He was led by the Holy Spirit and acted as he was moved by compassion. Most of his life was spent hidden. His active ministry did not start until he was 30 years old. Even after his ministry started, he did not heal every person he came in contact with and he still took time to get away and spend time with God the Father. In the story of Lazarus (John 1:1-45), we would have missed out on a greater miracle if Jesus had done what the people wanted him to do and went to Lazarus right away and healed him. Instead he was tuned in to God and what He wanted to do and many more came to believe since Lazarus was raised from the dead instead of just being healed. It can be humbling to realize and even admit our own limitations. There are times we will have to say no to some people's expectations of us but in the end we will truly have a greater impact on those around us if we first strive to lean back in God's grace and only do the things he is calling us and giving us the strength to do. 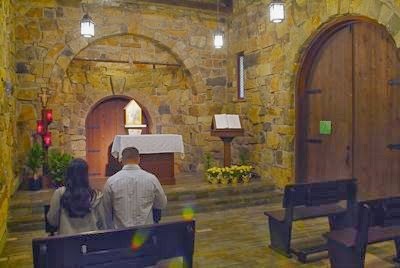 People are often surprised when they find out I went to the Franciscan University (a very dynamically orthodox Catholic college), started a household devoted to the Eucharist, and then ended up leaving the Catholic Church. My conversion story is also very Eucharistic and I even experienced a Eucharistic miracle which you can read about here. I really do not have an easy explanation for why my husband and I left. It was really after a series of events. Tom and I found amazing community at FUS with like-minded students who were passionate about their faith. When we graduated, we moved just outside Washington, DC. Tom was a full-time youth minister at one parish and I was a part-time youth minister at another parish. Since we were also being open to life, I became pregnant right away (which was not received well by members of the parish he worked at) and it was a very complicated and hard pregnancy!!! I was very, very sick and when I wasn't working, I was bedridden. Finally when the sickness lifted, around 32 weeks, I went into preterm labor and was placed on bed rest. After that I was in the hospital every weekend because my contractions would get stronger and closer together. At one point I was admitted into the hospital for several days and maxed out on magnesium sulfate (the worst experience of my life). Tom at the time was trying to keep up with being the youth minister, as well as many other responsibilities the staff at the church was trying to place on him. He would still attend mass there even though I couldn't go with him and he would hear sermons from the associate pastor telling the congregation that there was no such thing as personal sin. One day however, while I was in the hospital, Tom was confronted by the pastor as to why he was not attending coffee and donuts after each weekend mass. That was pretty much the straw that caused Tom to decide not to renew his contract for the following year. It wasn't a huge leap of faith since the job only paid $20K a year and we were living in an apartment complex that was one step up from the projects. The lease on our apartment was about to end and we started packing all our belonging in boxes even though we did not know where we were going to go. Oh and our firstborn, Anna held out till I was 36 weeks along so she did quite well and came home with me the next day. Well, God blessed us and we didn't end up living on the street. Right when our lease was about to run out on our apartment, Tom found out about a teaching position at a Catholic high school in Kalamazoo, Michigan. He applied and was offered the position. When Anna was just a couple months old we moved there and Tom started teaching that fall. At first everything was going well. Tom was hired because the prior religion teachers weren't "Catholic enough". Things started to get a little hairy however after some students were healed of some injuries when Tom said a prayer for healing at the start of class. He was called down to the chancery and given a talking to about how that shouldn't be happening in the classroom even though Tom explained that he just said a prayer, didn't lay hands and it was God who chose to heal. We also ran into some conflict when we tried to help with youth ministry at a couple different parishes. Parents didn't like that we were trying to bring in a spiritual element. They felt youth ministry should just be social. Some of them even said, "the kids are going to leave the church and we need to give them good memories so they come back after they're married and have families of their own." All these conflicts were minimal however compared to the longing we had for real community like we had at college. God seemed to hear our prayer because within a short time, several of our friends from college (Tom's household brothers and their families) moved to Kalamazoo and we started meeting together regularly in an attempt to form intentional community. That dream however was short lived as one by one they all moved away. This left us longing again for community as well as a desire to do ministry. We then decided to check out the local Vineyard church since we were familiar with the late John Wimber (leader of the Association of Vineyard Churches at the time) and his teachings. We had also read all his books on "Power Healing" and "Power Evangelism" multiple times. Originally it was not our intention to leave the Catholic Church. We started out going to mass on Saturday evenings and attending the Vineyard on Sunday mornings. That however became too much, especially now that we had two little ones so we started just attending the Vineyard on Sunday mornings and going to a cell group meeting on Wednesday evenings. There are a lot of things I could say about our experience at that Vineyard Church, both positive and negative. On the positive side, we did find community we were looking for. The people were very genuine and loved the Lord. 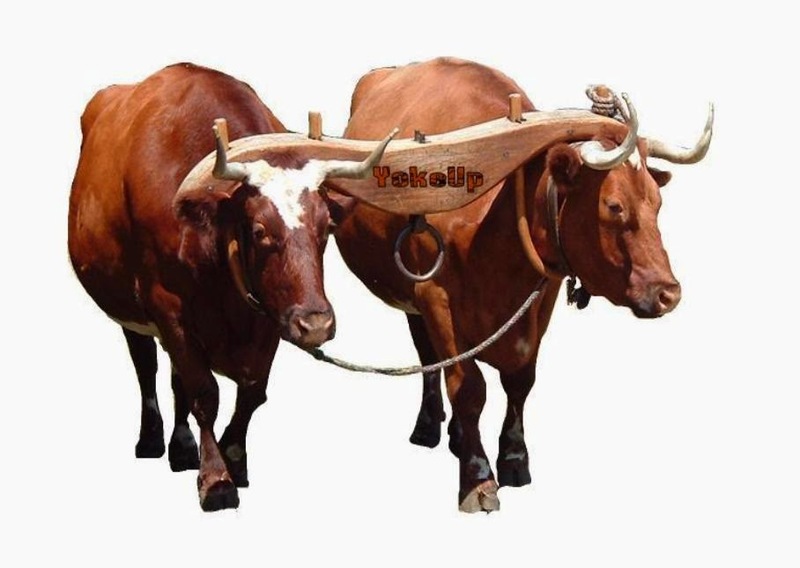 I was also able to grow in the prophetic and Tom was taken on as a pastoral intern. I won't go into detail with the negative, but basically we were wronged and lied about. I presume it was out of jealousy and feeling threatened by us. There was a lot of talk about grace at that church but in the end, there wasn't much grace available for us. God delivered us however and Tom was offered a pastoral internship at a Vineyard Church in Clearwater Florida. We sold our house in three weeks and moved across country with all our belongings in our minivan and a 12-foot tow behind U-Haul trailer. We became very active at the Clearwater Vineyard Church and Tom was a pastoral intern in the hopes of planting another Vineyard in the area. We lived in the St. Petersburg area and did the internship from 1999 till 2003 at which time we were sent out to start a Vineyard in Lakeland, Florida. We started a pretty unconventional church in our living room and attracted young people who were burned out on church and were mostly pastor's kids. We were growing and even split up into two different house churches, getting together as a larger group once a month. Everything was going well but after the birth of our third daughter, we really started to question what we were doing. A lot of the things we were doing were actually very Catholic and liturgical. We had communion every week and baptized babies (not typical of most Vineyard Churches) but still something was missing and we really missed a sense of the sacred and the Sacraments. We also wanted our daughters to grow up with the rich heritage that we felt we had growing up in the Catholic Church. We ended up coming back to the Catholic Church in the fall of 2007. Catholics often ask us if we felt restless or missed the Sacraments, especially the Eucharist. In all honesty, we had convinced ourselves that Jesus could be just as present in our communion if only we had the faith. But there was a difference. The Lord sort of made up for that in other ways however as we were able to experience intimate and dynamic worship, something that had been lacking in most of the Catholic parishes we had attended. We were also given a lot of opportunities to do ministry that I have yet to experience as a Catholic. My deepest desire is to speak, exhorting the body of Christ as well as evangelization . I was given that opportunity when I went on a mission trip with a group from the Clearwater Vineyard to Venezuela. We got to speak at a couple different churches there and really saw God move and bring spiritual healing to people. Afterwards I told God, "That was awesome!" He told me, "You haven't seen anything yet!". That really is my heart and I can't wait to see how He is going to bring that about now that we are Catholic. 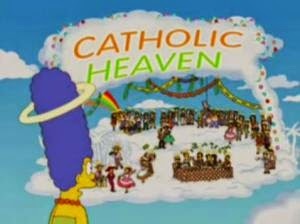 One thing I really liked to do when we were outside the Catholic Church (I don't like to say I was Protestant because I was not protesting anything and never disagreed with Catholic teaching) is try and dispel myths and misconceptions people would have concerning Catholics. Now that we are Catholic again, I like to dispel misconceptions Catholics have toward Protestants and often find myself bewildering Protestants. It is my heart to try to bridge the gap between the two. I do not believe it was ever God's will for the Church to become so fragmented but I do believe He still breathes life into other churches. There is a lot Catholics can learn from their Protestant brothers and sisters and vice versa. I must also add that since we came back to the Catholic Church we have found an amazing community of Catholics who love Jesus, have surrendered their lives to him, know how to have dynamic worship and are open to hearing God speak. We have found this community both through our church and the BSCD. I am very grateful! 2 Corinthians 3:18 - And we all, with unveiled face, beholding the glory of the Lord, are being changed into his likeness from one degree of glory to another; for this comes from the Lord who is the Spirit. There is an ebb and flow in the spiritual life. As long as we are on this earth, we will always be in a process of transformation and being perfected in love. Sometimes the Lord will give us the freedom to fly for a bit but then he calls us back to himself and wraps us once again in a cocoon of grace and places us next to his heart. In the process of surrendering and placing our trust in Him we are transformed from glory to glory. We begin to see Him more clearly and know His will by getting in touch with His heartbeat. The more we become familiar with the heartbeat of God, the more effective we will be in advancing the Kingdom. We will also become better intercessors and better ambassadors of his love. It is then that we see our prayers being answered. I think often we do not see an answer to our prayers because we do not have a clear understanding of who God is and what his will is. Jesus only did what he saw his Father doing and he was often moved by true compassion that comes from God. The way he knew what his Father was doing and knew God's heart is because he had a relationship with him and often got away on his own to pray (Luke 5:16). Our vision of God, the Father is often tainted. We might not have a problem viewing God as a father, but we often view him as a strict father withholding gifts from his children. We go to prayer and we beg Him for His intervention in different situations, not truly understanding his nature of limitless mercy and grace. Isaiah 55:8 - "For my thoughts are not your thoughts, neither are my ways your ways" declares the Lord. In order to know his thoughts and his ways we need to lean our head against his chest like St. John and learn what makes His heart beat. "God...look what you've got me into this time. This guy really believes this stuff. He's going to lose his job, or I'm going to have to take care of his kids today." John arrived at the house and the situation looked even worse than he expected. The wife was bedridden and looked pretty sick. John laid hands on her and said a quick prayer of healing and then turned toward the husband to explain why some people do not get healed. As he was doing this, the wife stood up. She had been healed! Suddenly in my mind's eye there appeared to be a cloud bank superimposed across the sky. But I had never seen a cloud bank like this one, So I pulled my car over to the side of the road to take a closer look. Then I realized it was not a cloud bank, it was a honeycomb with honey dripping out on to people below. The people were in a variety of postures. Some were reverent; they were weeping and holding their hands out to catch the honey and taste it, even inviting others to take some of the honey. Others acted irritated, wiping the honey off themselves, complaining about the mess. I was awestruck. Not knowing what to think, I prayed, "Lord, what is it?" He said, "It's my mercy, John. For some people it's a blessing, but for others it's a hindrance. There's plenty for everyone. Don't ever beg me for healing again. The problem isn't on my end, John. It's down there." The key to intercession, praying for people and serving others is first getting in touch with God's heart regarding the person. Instead of begging God to intervene on our behalf, we join our hearts with His heart and our prayers with His prayers. We join with Him in what he is already wanting to do. Let us surrender more fully to the Lord whose love is perfect and complete for us; whose mercy and grace is limitless! Let us lean against his chest and hear his heart beat and then let us go and share his heart with others! Recently I was having a conversation with a friend. She was going through some very difficult trials and was wondering if the source of her trials was just natural occurrences, the enemy or trials from the Lord. This really got me thinking. I am not so sure that the source of our trials is all that important. What is most important is our response to trials. Also, when we go through hardship in life, we can assume it is the enemy trying to prevent us from doing something God wants us to do. God however is not so much concerned with the things we end up doing as he is interested in who we become. His main goal for each one of us is to transform us into the image of Christ and to perfect us in love. Sometimes this is best accomplished through the trials of life that he allows. When we choose to join our trials and sufferings to the cross of Christ then his will for us is always accomplished; we are transformed more fully into the image of Christ and love wins. When we are transformed and perfected in love, we can not help but have a positive impact on others and advance the Kingdom. Even if it was the devil trying to thwart God's plans, he never wins. There are times in our life when we might deliberately or unknowingly take a detour and find ourselves on the wrong path in life. If we repent and get back on the right path, nothing is wasted. "All things work for the good of those who love God." - Romans 8:28. He can use whatever repentant sins, mistakes, or circumstances we find ourselves in for a greater good and our transformation. We are all at different stages in our walk with the Lord and transformation. 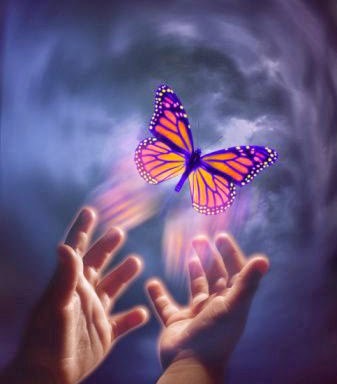 If we compare this process with the life span of a butterfly, some of us are in the larvae stage, some caterpillars, some are resting in a cocoon of grace, some Monarch butterflies and so on. 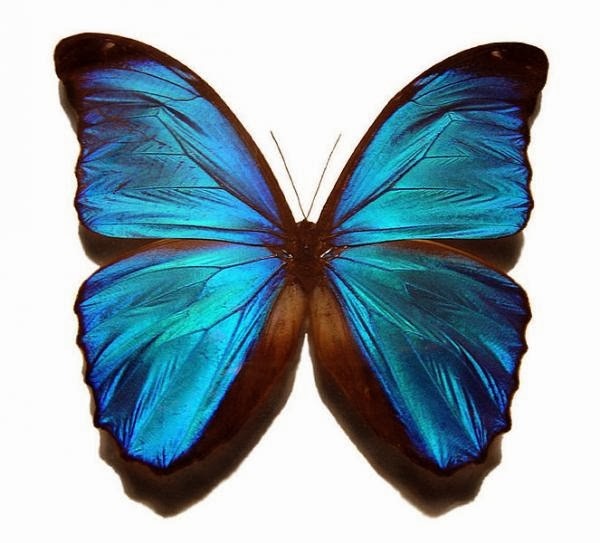 Recently I was in prayer and I saw a vision of a beautiful, almost metallic blue butterfly and I felt like the Lord said, "Seek to become the most beautiful of butterflies." I actually Googled, "most beautiful butterfly" and a metallic blue butterfly was the first and most common one that came up. I was then reminded of a vision I had once of the Blessed Mother. She was dressed in the same color blue. She had twinkling lights all over her cloak and these twinkling lights were coming off her mantle and turning into butterflies that were the same color blue. She was taking great delight in these butterflies as they were flying around her and landing on her finger. It then occurred to me that Mary's blue mantle/cloak might actually represent the Holy Spirit and the twinkling lights, the potential of what men can become. In Luke 1:35, the Angel Gabriel tells Mary that she will conceive Jesus when the Holy Spirit overshadows her. It would make sense that in her glorified state, the Holy Spirit would continue to overshadow her. We are called to clothe ourselves with Christ (Galatians 3:27, Romans 13:14). When we hide ourselves under Mary's mantle, we are really clothing ourselves with Christ through the Holy Spirit. Of course this is not the only way but I am thinking it might be the quickest and easiest way. Mary is the crown of creation! She is the perfect example of who we are to become like! It doesn't hurt to look towards and imitate her. She especially is clothed with Christ and the Holy Spirit. When we place ourselves under her mantle and allow ourselves to be clothed with the Holy Spirit, Christ is conceived in us and transforms us from the inside out. Through our sacrifices of love joined to the cross of Christ, let us allow God's grace through the Holy Spirit to form us more completely into his beautiful image! Many people are familiar with the TLC show, "Hoarding - Buried Alive" about people with hoarding problems. I have seen the show only a couple times and that was enough! I had a hard time stomaching it. I have also known people who have had problems with hoarding but not to that extreme. What is really hard is when you see people hoarding and putting away stuff they do not need but you know others could use those items for their very livelihood. I think the root of hoarding is fear. All these "things" they are holding onto give a false sense of security and sense of being in control. In reality however, all these things are controlling them. I can kind of understand this and might have been inclined to hoard, especially baby items. Each time Tom and I planned to have another child however, I was always sure the next one would be a boy since the Lord promised me a boy before I ever had any children. I had no idea he would plan for us to have five girls before the boy he promised. I'm happy that it happened that way because I couldn't imagine life without any of my girls, but since I always thought my next child would be a boy, each time I gave all my baby girl clothes and baby gear away. What that taught me however is that God always provides. He doesn't just provide for the first child and then it is up to our good stewardship to provide for the rest. With each child I would even end up with better stuff than I had before. If I had held onto the old stuff, it would have gone out of style and turned yellow. At least this way they were able to be used by people that needed them at the time. I also currently belong to an amazing church community where a bunch of us rotate our maternity and baby clothes around to whomever needs them at the moment. I think the passage about the talents in Matthew 25:14-30 addresses God's heart on the matter of hoarding. I can't imagine how he must feel as he sees all the people who are in need and then he sees others who have excess but do not even need the items they have. And then we have the nerve to ask God where he is when there is suffering in the world! In the parable of the talents, the "Master" gives more "talents" to the servants who multiplied their talents instead of burying them or packing them away and storing them in the attic. I heard a powerful story once about Blessed Mother Teresa. One day she gave food to a very poor Muslim mother. Even though this woman was very poor and didn't have anything to feed herself or her children, she shared half of the food Mother Teresa gave her with her neighbor who was also very poor. This is what we are called to do. 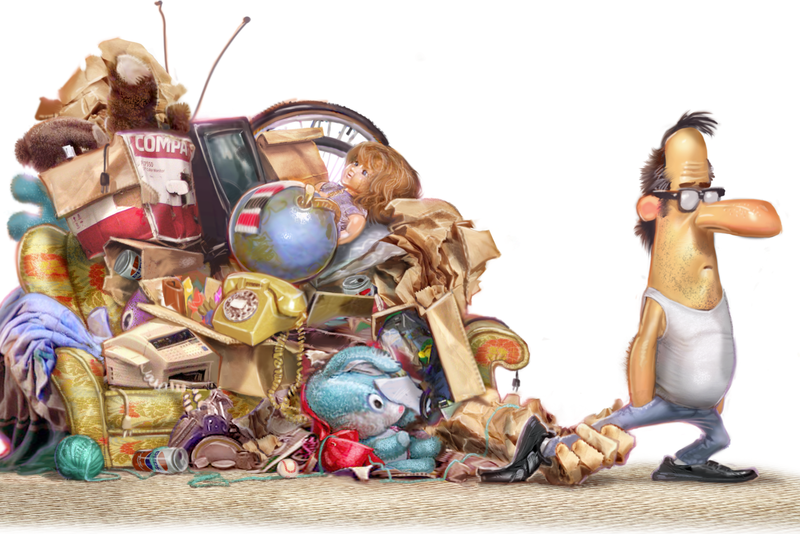 This Lent, one thing I want to do is look in the plank in my own eye on the matter of hoarding. I know there are clothes in our closets and other items in our house that we are not using but perhaps someone else could use. I wonder how many bags of "talents" I can find around our house to give away to others? Matthew 6:19-21 - “Do not store up for yourselves treasures on earth, where moth and rust consume and where thieves break in and steal; but store up for yourselves treasures in heaven, where neither moth nor rust consumes and where thieves do not break in and steal. For where your treasure is, there your heart will be also." Well, I didn't come up with a blog post yesterday so I guess I wasn't faithful to my 7 in 7 challenge. Again, soon after the kids got to bed, I spent some time in prayer and was going to blog but couldn't keep my eyes open any longer. The gospel reading yesterday was from Matthew 6:24-34 where Jesus tells his disciples not to worry. So, I am not going to worry about it. Today is a new day. How often though can we get perfectionistic in our prayer life and our relationship with the Lord. I used to be very much that way. I felt it needed to be all or nothing. If I couldn't pray "perfectly" (whatever that would look like) I wouldn't pray. Lent is starting this week. Many of us will try to make commitments and give up things in order to better our spiritual lives and hopefully grow closer to Jesus. The Lord is delighted by this desire. There is a good chance however that many of us will at some point fail in our commitments we made. 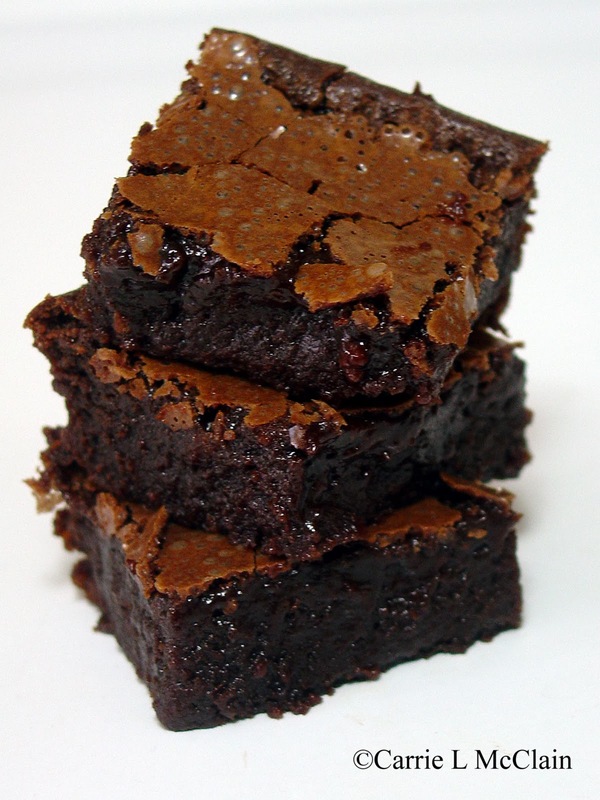 At some point we may give into the temptation to eat a brownie even though we gave up sweets. This may cause us to get discouraged and down on ourselves but the important thing is we get back up. The Lord is so kind and merciful, and it pleases him to see his children making any kind of effort to draw close to him. We need to keep in mind that that is the reason we are doing these sacrifices in the first place, is to draw closer to him. Yesterday we celebrated my youngest daughter's 4th birthday. With each of my kids, the Lord has taught me some valuable lessons. Through Sarah, I have learned more about his unconditional love for us. I have also had to grow in patience and I have received a deeper understanding of interior freedom. These are just to name a few of the things I have learned by being her mother. When she was a baby, it seemed all she did was cry. She was miserable from day one and there was nothing I could do to console her. She wanted to be held and nursed almost constantly but even those things did not make her happy. She was still miserable. There were whole days where all I did was sit in a rocking chair and nurse her. During that time a friend of mine lent me a book called, "Interior Freedom" by Jacques Philippe. This book was invaluable. I sobbed the whole time I read it. It had true stories of people even in concentration camps that discovered an interior freedom and joy in Christ even though physically they were not free. One day I was praying about why she was so miserable all the time. I heard in my heart, "It's because she was made for heaven." That kind of freaked me out at first as I was thinking the worst. The truth however is that we are all ultimately made for heaven. None of us are ever going to be fully satisfied with life here on earth. Like St. Augustine said, "Our hearts are restless until it rests in you". Only God can truly satisfy the longings in our hearts. We were made for him. Our lives are supposed to reflect and glorify him. 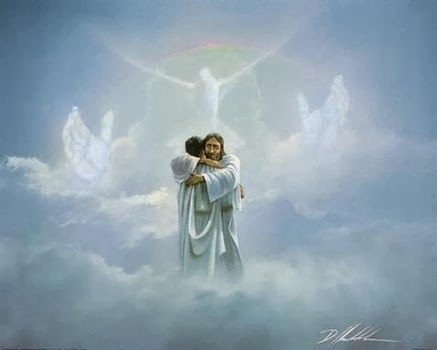 When we fail to do that and when we fall short, we feel the aching in our hearts.The good news is that because of Jesus' death and resurrection, the breach in our relationship to God has been repaired and the Holy Spirit is now made available to all of us. We now have the potential to get as close to the Lord as we want. He is also preparing a place for us in heaven which will be beyond our wildest imaginations! Heaven is our true home and our final destination. Realizing that truth, let us take advantage of all the opportunities here on earth to grow closer to him. Well, I didn't quite make day 6 of my 7 for 7 day challenge. We were at our church carnival till late. We came home, bathed the kids, put them to bed, wrapped presents and put stuff together for Sarah's birthday which is today. I then went to prayer but fell asleep while praying. I'm sure that doesn't happen to anyone else ;) Anyway, you should check out my husband's blog. He's been doing the 7 for 7 too and he's been coming up with some good stuff! The name of his blog is Casual Theology. Have mercy and let's let this count for day 6.